12/2 09:15  - [32minfo[39m: [app] Shutdown (SIGTERM/SIGINT) Initialised. 12/2 09:15  - [32minfo[39m: [app] Database connection closed. 12/2 09:15  - [32minfo[39m: [app] Web server closed to connections. 12/2 09:15  - [32minfo[39m: [app] Shutdown complete. RE: WebSocket error in console.. I've tried that already. 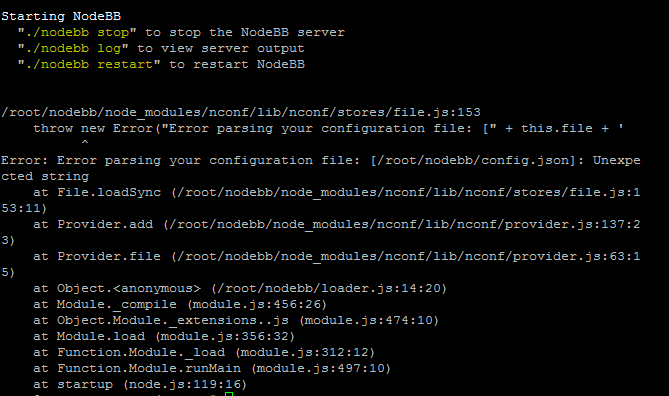 But this configuration cause that nodebb will not start. Yes I know that. But I still have to reroute the WebSocket Traffic to a subdomain. Is there a way to reroute only the socket.io (WebSockets) requests to a subdomain? Cloudflare is allowing WebSockets only on Business / Enterprise Plans. Tried this NodeBB Conf. - but didn't work. Prevented me from starting the forum. How many WebSockets connections is a NodeBB Forum using concurrently? CloudFlare is asking me this and I've no Idea. A correct answer would be nice. 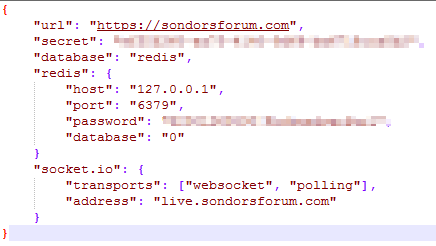 sondorsforum.com is using NodeBB also.